Pakistan has seen many incidents, where the minorities are subjected to prejudice and are thought to be lesser than the majority. Just the other day a guy on twitter told his childhood story of how a Christian boy his class was mocked by everyone. He himself was too young to understand, why everyone treated the Christian boy that way. So, one evening he invited the boy to his house for tea, but he tried his best to avoid the invitation, but later upon his emphasis, he came come. The Christian boy was very uncomfortable and when the boy’s mother served them food, he did take the plate and put the curry on roti and started eating it that way. Upon asking the Christian boy said that he didn’t want to “napaak” a Muslim’s plate, that’s why he put the curry on roti and ate that! That’s how messed up our system is! That’s how they are made to feel. But at the same time, we try to empower the minority as much as we can. People like that twitter guy and many more like him, try to protect them, made them feel normal and not lesser than anyone. So, when the news of these girls spread that they are allegedly held captive people believed that! But the story is quite different. On the festive day of holi, these two Hindu girls named Reena and Raveena aged 13 and 15 respectively were thought to hold captive. Also, the rumor spread that these girls were forced to convert to Islam and were married to Muslim men. 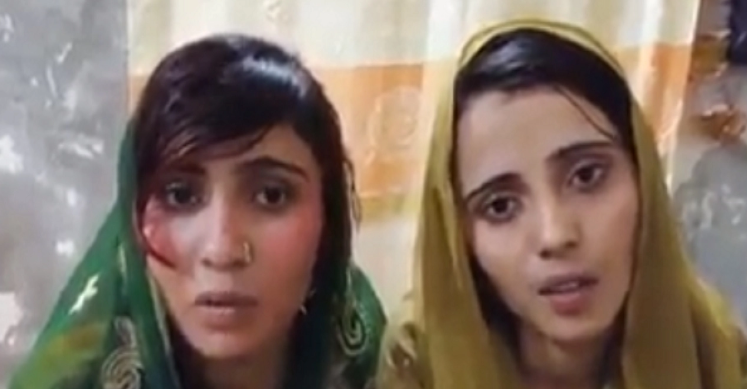 Their father’s video statement quoted that the girls are in difficulty and they want their daughters back. But much recently, when the video of their nikkah was released the girls seemed completely fine. In contrary to the father’s statement, the girls’ video statement was the complete opposite of what their father said. Reena, Raveena and their husbands were subjected to propaganda. In fact, the girls also revealed the reason for their conversion. Both the sisters were actually impressed by the teachings of Islam! Both the couple denied any allegations of being held captive and asked the government for their protection. PM Imran Khan asked the provincial governments of Punjab and Sindh to properly investigate the case. Federal Minister for Information and Broadcasting Fawad Chaudhry said the prime minister had also directed the Sindh government to conduct an inquiry into the incident.